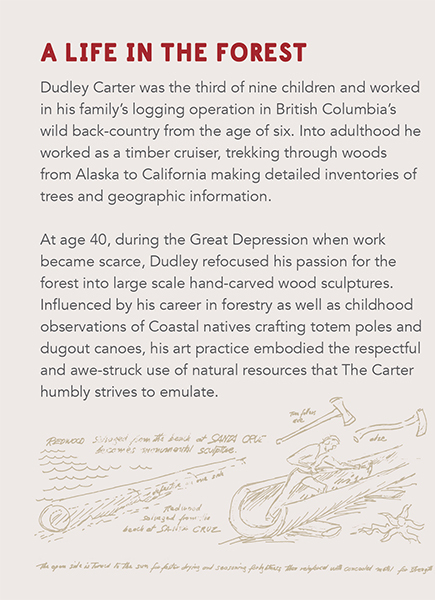 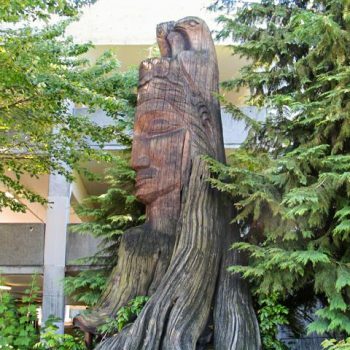 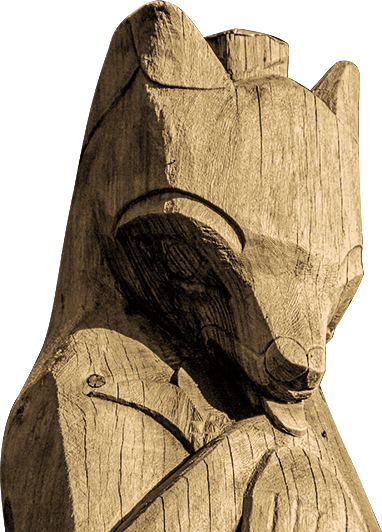 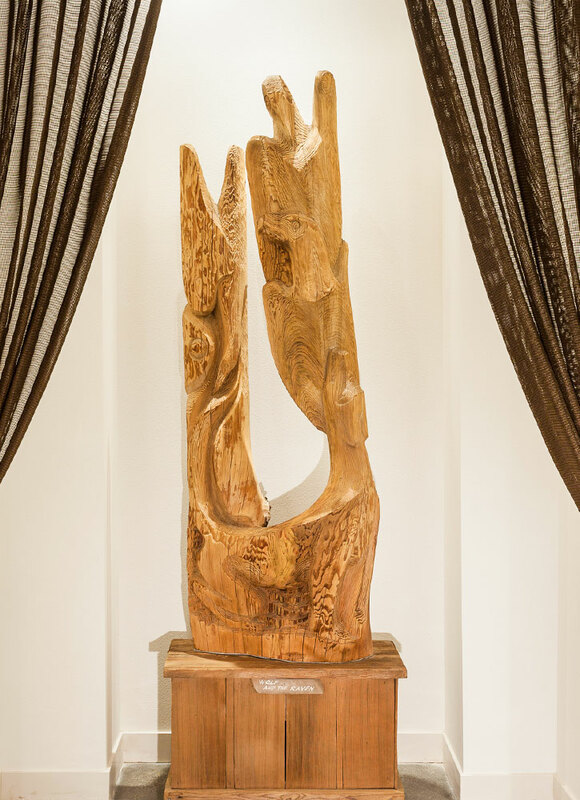 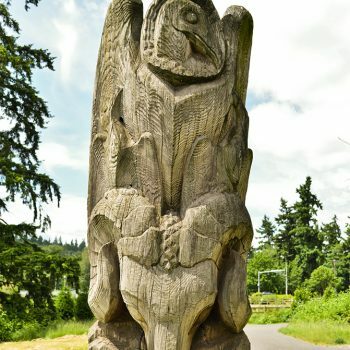 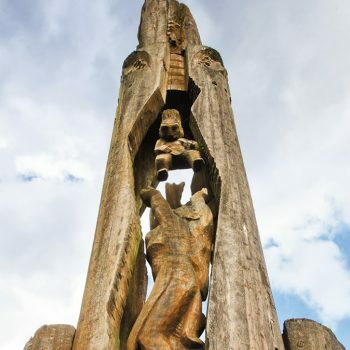 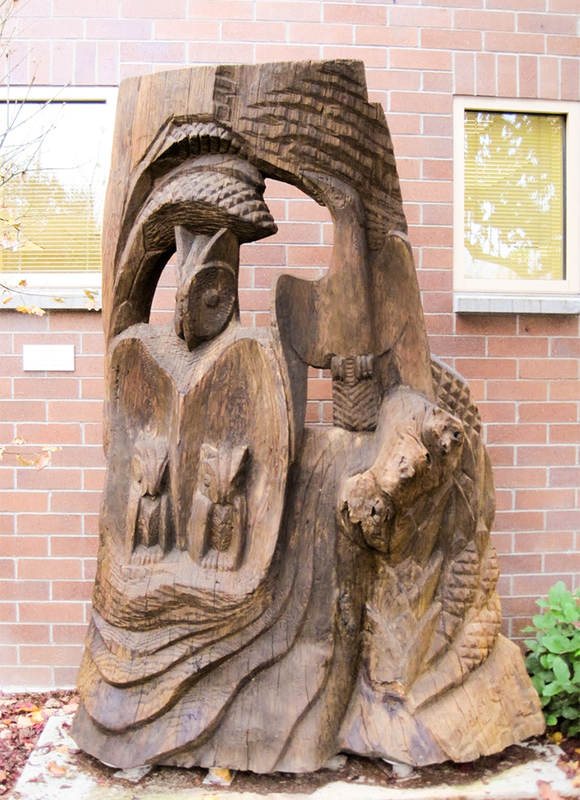 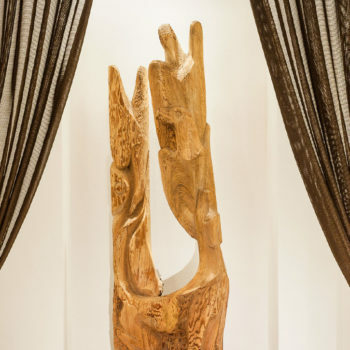 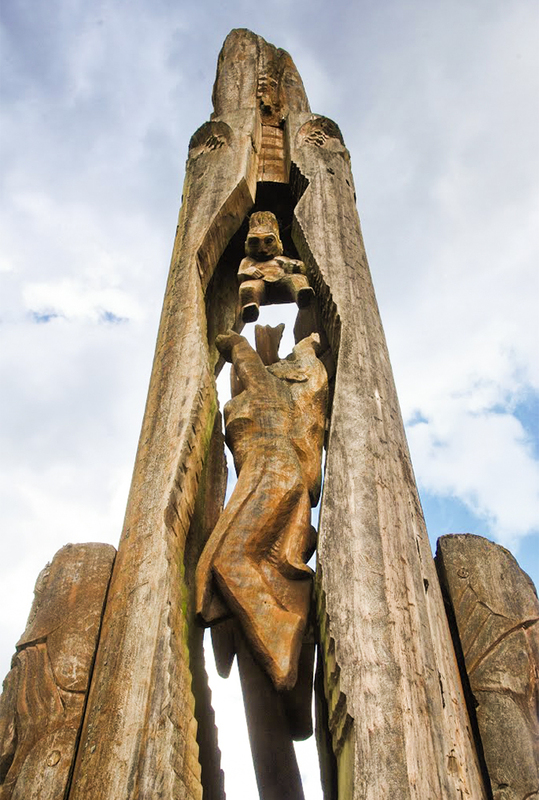 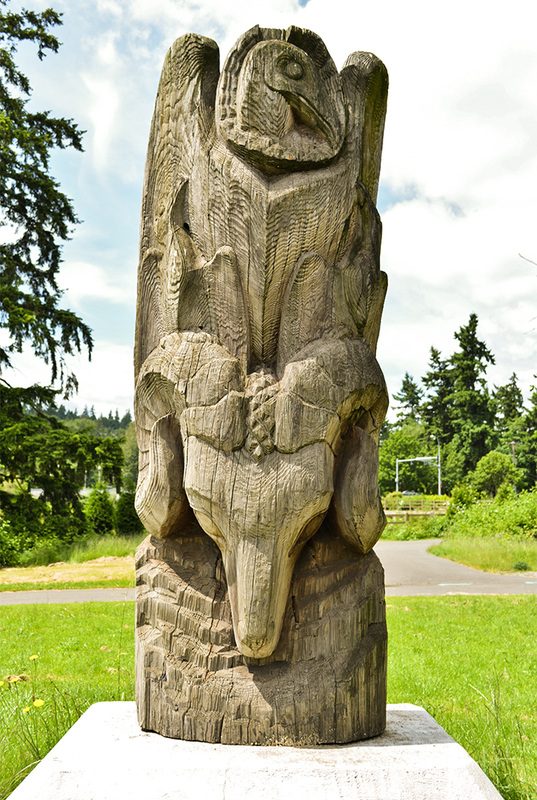 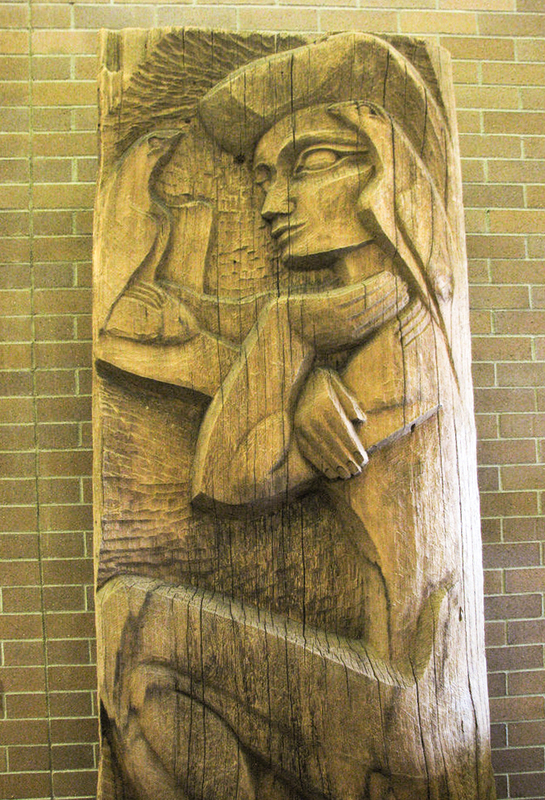 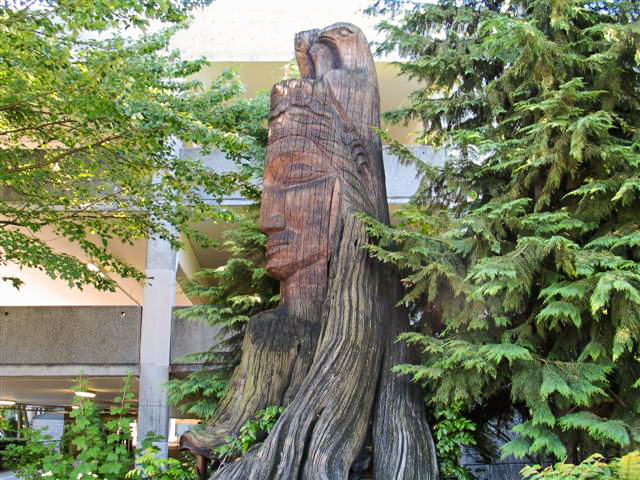 Dudley Carter, the inspiration for our rentals in Redmond, was a homesteader, a renowned artist and wood carver, and a creative character with many friends and fans. 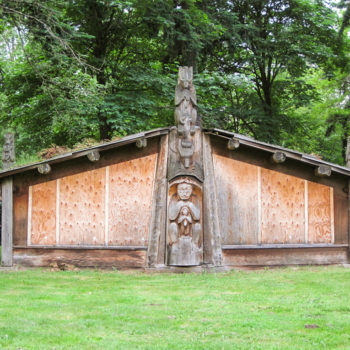 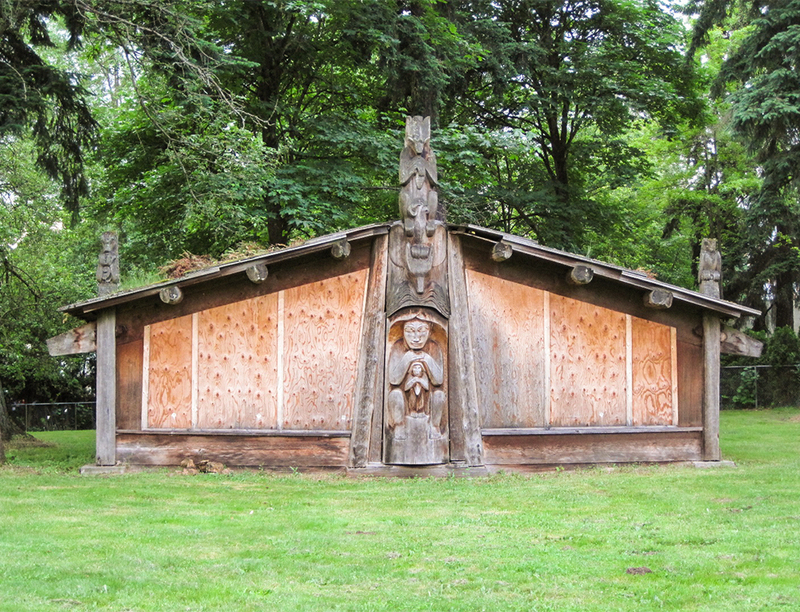 He built and lived in Haida House Studio – a post-and-beam structure in what is now Dudley Carter Park, or our backyard. 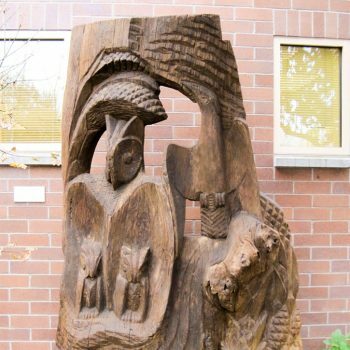 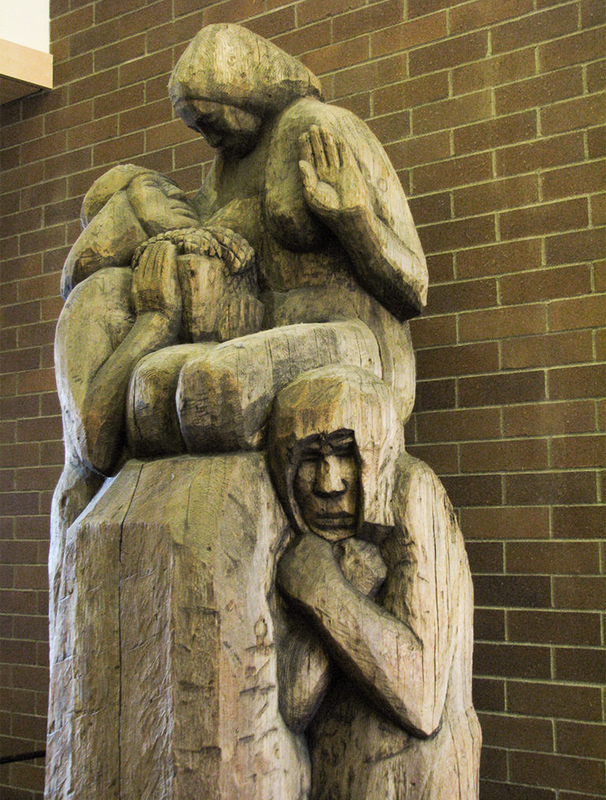 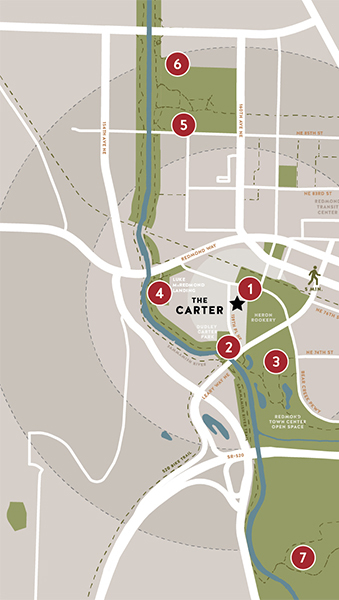 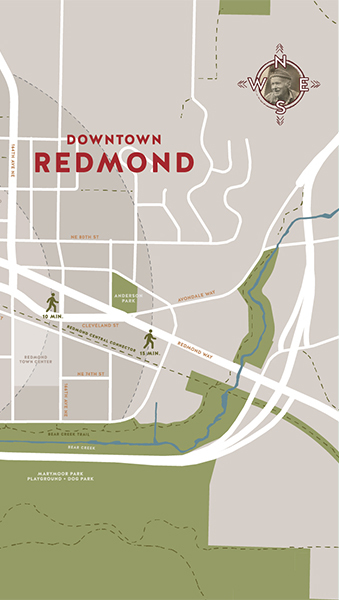 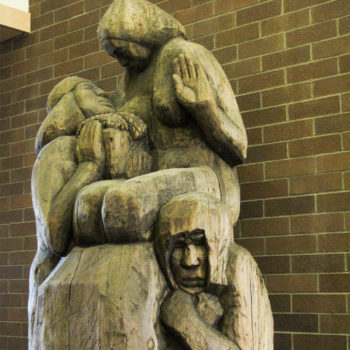 Dudley Carter was an artist who left a distinct and lasting mark on the city of Redmond. 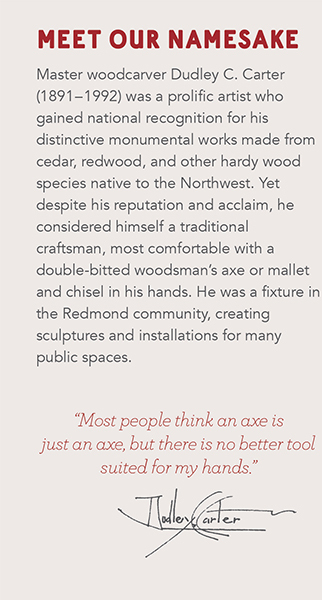 We are proud to name this extraordinary building in his honor. 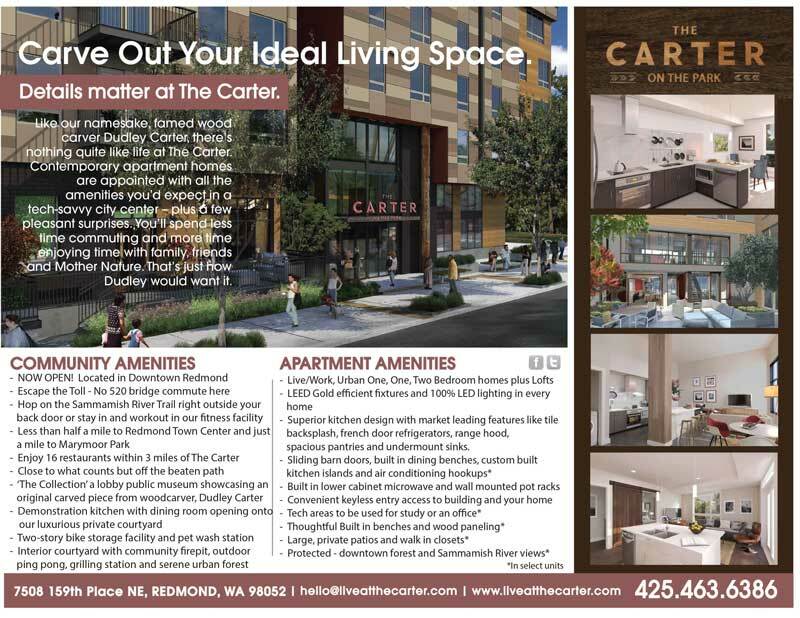 Dudley Carter believed in the health benefits of an-apple-a-day and lived a full, active life. 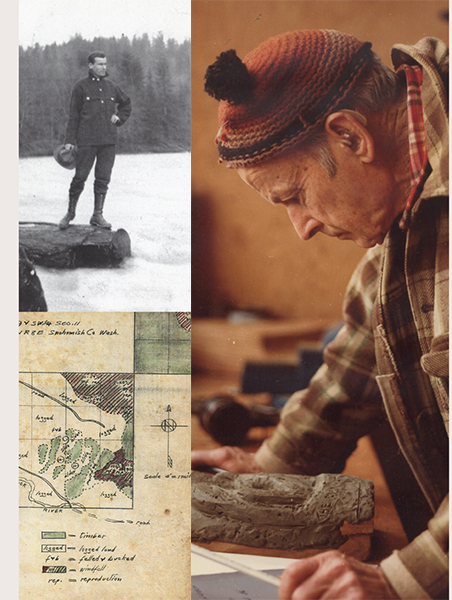 He died just one month shy of his 101st birthday. 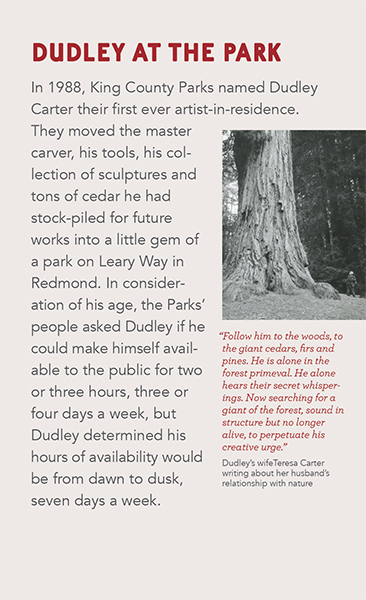 Dudley’s works can be found in museums and private collections across North America. 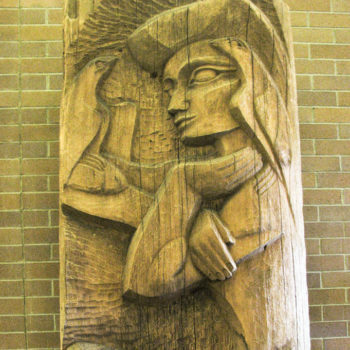 His granddaughter, Anna Hanson, created the wall carving in the lobby of The Carter.